MannMade USA #2300 Intonatable Stoptail bridges are back in stock and better than ever. I am proud to say that this last batch is better than ever… I have tweaked the design here and there and am super happy with the results. I hope you are too! 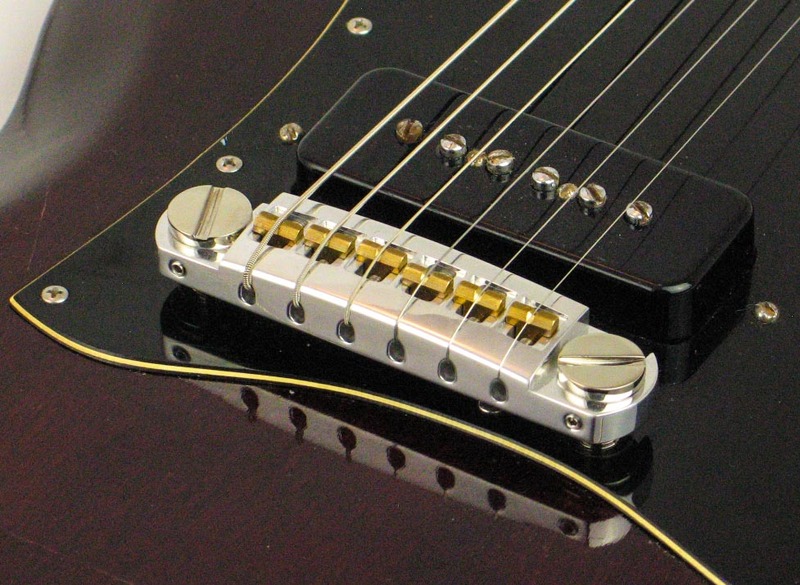 I have an all mahogany Standard 22: 1994 – 22-fret stoptail that I’d like to upgrade to one of your adjustable bridges and want to get the correct bridge and studs/bushings if needed/recommended by you, just want to make sure I get the order right. Also, I’ve read that some of your later bridges are loose on the studs, would like to avoid this if possible. 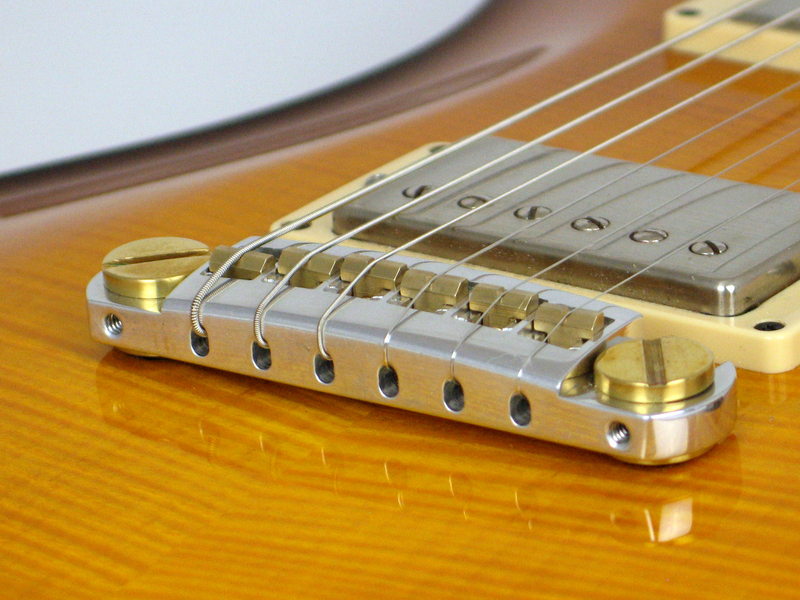 Unfortunately many manufacturers who supply the bulk of the guitar industry only produce parts to Class 2 threads, which is much sloppier and looser fit. The end result of how my studs fit, is basically determined by the accuracy of the stud well. If you find my studs fit too loose in your existing stud wells, the only solution is to purchase and install a set of MannMade USA stud wells, which will be much tighter in fit. Are you planning on ever offering a gold plated version of this bridge. 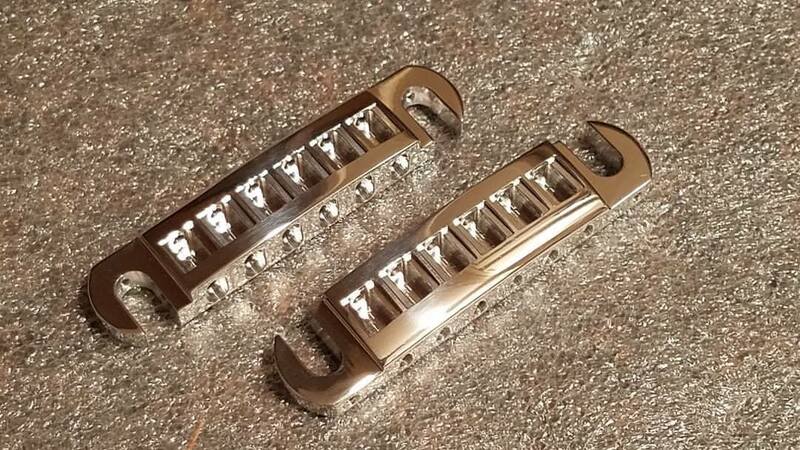 I have 2 gold hardware stop-tail guitars that I’d like to switch to fully adjustable bridges for hybrid string gauges that I like to use, but I don’t really feel like the aluminum will look all that good next to everything else in gold.